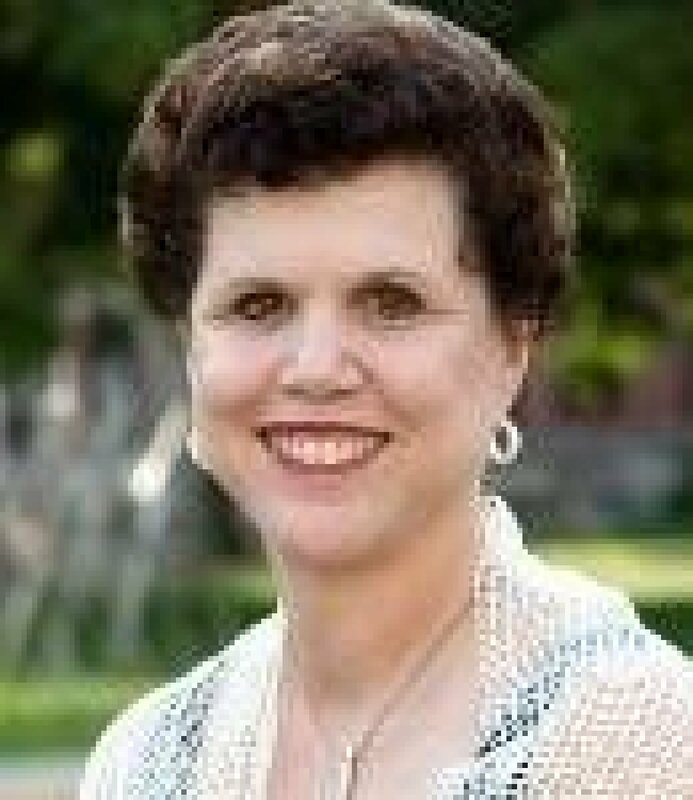 Linda Serra Hagedorn received her Bachelor of Arts degree in Elementary Education at Elmhurst College, a Master of Education at National-Louis University, and her Ph.D. in Public Policy and Higher Education Analysis from the University of Illinois at Chicago. She was a postdoctoral fellow with the National Center for Teaching, Learning, and Assessment in Chicago. Hagedorn is Associate Dean of Undergraduate Programs, International Programs, Student Services, Diversity, and Community in the College of Human Sciences and Professor in the School of Education at Iowa State University. She is a prominent researcher in the area of community college student success with over 200 publications and presentations. As the Director of International Programs at Iowa State, she is also highly involved in international education. Dr. Hagedorn has extensive international experience beginning with her initial work in Vietnam as a Fulbright Specialist at AnGiang University (2003). She subsequently has been a researcher and collaborator in China, Russia, Korea, and Spain. Hagedorn is on the advisory board of international universities in both China and Iran. As the past president of the Association for the Study of Higher Education (ASHE) and Vice President of the American Educational Research Association (AERA), she has a rich history of leadership. Included in her long list of funded projects is the latest, funded by the U.S. Department of State where she heads the American Cultural Center at Henan Normal University in Xinxiang China. Dr. Hagedorn has also served as a Data Coach for the Achieving the Dream Initiative and works with colleges in Texas. Borrowing Among Academically Underprepared Students: Facilitating Success or Perpetuating Inequity at the Community College? With Lyle McKinney and Heather Novak. Greater Texas Foundation, 2016. Performance-Based Funding for Community Colleges in Texas: Are Colleges Disadvantaged by Serving the Most Disadvantaged Students? With Lyle McKinney. Greater Texas Foundation, 2015. “Developmental, Remedial, and Basic Skills: Diverse Programs and Approaches at Community Colleges.” With Inna Kuznetsova. New Directions for Institutional Research 2015.168 (2016): 49-64. “International Students’ Struggles: Community College to the Rescue.” With Shaoshua Pei and Lu Yan. International Education at Community Colleges: Themes, Practices, and Case Studies. Eds. Latiner Raby, Rosalind Valeau, and Edward J. Valeau. London: Palgrave Macmillan, 2016. “Stretching Every Dollar: The Impact of Personal Financial Stress on the Enrollment Behaviors of Working and Nonworking Community College Students.” With Moumita Mukherjee, Lyle McKinney, Agustina Purnamasari, and Franco Santiago Martinez. Community College Journal of Research and Practice (2016): 1-15. “Engaging Returning Adult Learners in Community Colleges.” In Student Engagement in Higher Education: Theoretical Perspectives and Practical Approaches for Diverse Populations. Eds. Stephen John Quaye and Shaun R. Harper. London: Routledge, 2014. Sydney Freeman, Linda Serra Hagedorn, Lester Goodchild, and Dianne Wright, Eds. Advancing Higher Education as a Field of Study: In Question of Doctoral Degree Guidelines. New York: Stylus Publishing, 2013. Tod Treat and Linda Serra Hagedorn, Eds.The Community College in a Global Context. Hoboken, NJ: Wiley & Sons, 2013. Christopher M. Mullin, Trudy Bers, and Linda Serra Hagedorn, Eds. Data Use in the Community College: New Directions for Institutional Research. Hoboken, NJ: Wiley & Sons, 2012. “How to Define Retention: A New Look at an Old Problem.” In College Student Retention: Formula for Student Success. Ed. Alan Seidman. Lanham, MD. : Rowman & Littlefield, 2012. 81-100. “A Realistic Look at STEM and the Role of Community Colleges.” With Agustina Veny Purnamasari. Community College Review (May 2012). “Latino/a Student Success in Community Colleges and Hispanic-Serving Institution Status.” With Athena Perrakis. Community College Journal of Research and Practice 34.10 (2010): 797-813. “The Pursuit of Student Success: The Directions and Challenges Facing Community Colleges.” In Higher Education Handbook of Theory and Research. Ed. John C. Smart. NY: Springer, 2010. 181-218. “¿Dónde Están Los Hombres? : Examining Success of Latino Male Students at Hispanic-Serving Community Colleges.” With Berta Vigil Lade and Athena Perrakis. In Understanding Minority-Serving Institutions. Eds. Marybeth Gasman, Benjamin Baez, and Caroline Sotello Viernes Turner. Albany: SUNY Press, 2008. 127-140. “Looking in the Rearview Mirror: Factors Affecting Transfer for Urban Community College Students.” With Scott Cypers and Jaime Lester. Community College Journal of Research and Practice 32.9 (2008): 643-664. “Remedial/Developmental Education and the Cost of Community College Transfer: A Los Angeles County Sample.” With Tatiana Melguizo and Scott Cypers. The Review of Higher Education 31.4 (2008): 401-431. “An investigation of critical mass: The role of Latino representation in the success of urban community college students.” With Winny Chi, Rita Cepeda, and Melissa McLain. Research in Higher Education 48.1 (2007): 73-91. “Hispanic Community College Students and the Transfer Game: Strikes, Misses, and Grand Slam Experiences.” Community College Journal of Research and Practice 30.10 (2006): 827-853. “Transfer Between Community Colleges and 4-Year Colleges: The All-American Game.” With Hye Sun Moon, Scott Cypers, William E. Maxwell, and Jaime Lester. Community College Journal of Research and Practice 30.3 (2006): 223-242. “Square Pegs: Adult Students and Their ‘Fit’ in Postsecondary Institutions.” Change 37.1 (2005): 22. “Faculty Research Productivity: Exploring the Role of Gender and Family-Related Factors.” With Linda J. Sax, Marisol Arredondo, and Frank A. Dicrisi III. Research in Higher Education 43.4 (2002): 423-446. William G. Tierney and Linda Serra Hagedorn, Eds. Increasing Access to College: Extending Possibilities for All Students. Albany: SUNY Press, 2002. What Contributes to Job Satisfaction Among Faculty and Staff. Hoboken, NJ: Wiley, 2000. “Conceptualizing Faculty Job Satisfaction: Components, Theories, and Outcomes.” New Directions for Institutional Research 2000.105 (2000): 5-20.